Grace Akhrem, a Los Angeles native, has always been artistic and crafty. Grace’s designs are inspired by color, yarn, texture and fashion. She loves working with vibrant and saturated colors that make you want to smile. Her love of color is where she draws most of her inspiration… although sometimes she just listens to what the yarn is telling her it wants to be. Grace’s main goal as a designer is to design pieces that she would like to wear herself and she thinks others would too. Grace focuses on construction and technique in all of her designs. 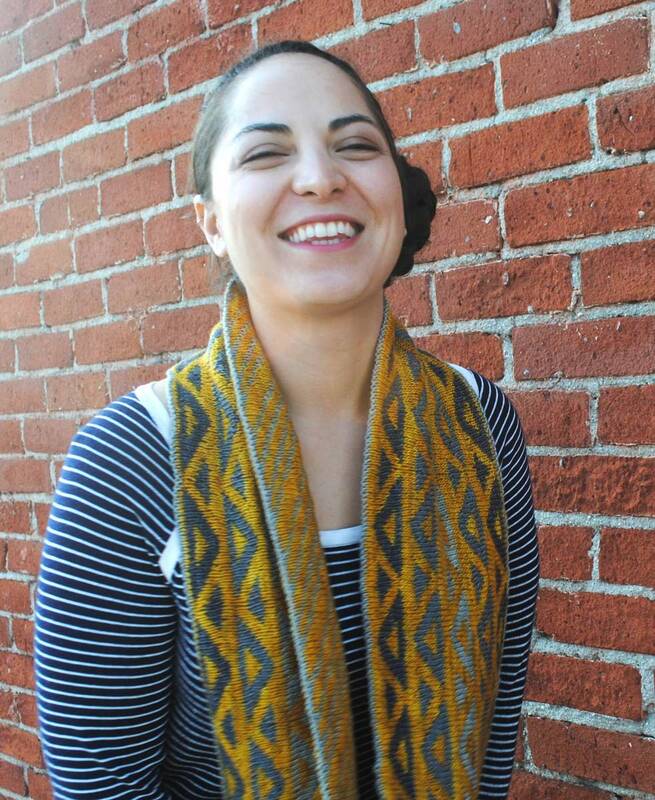 Most of Grace’s patterns are designed for the adventurous beginner or the intermediate knitter. In addition to her design career, Grace teaches both locally and nationally.